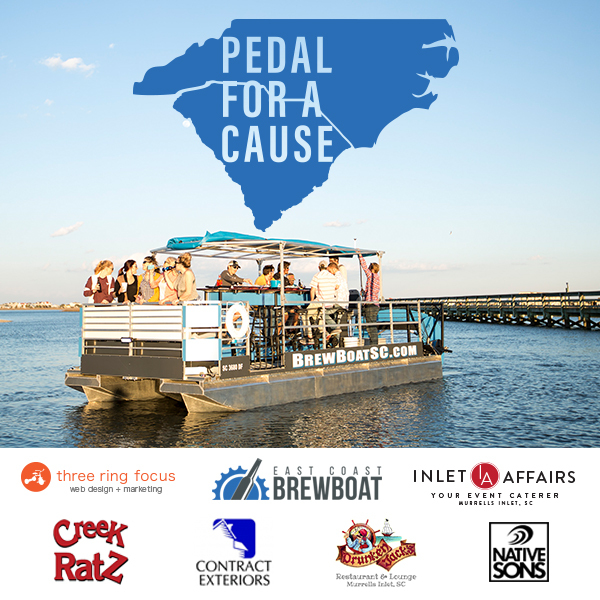 The East Coast BrewBoat is teaming up with Three Ring Focus, Contract Exteriors, Native Sons, Creek Ratz, Drunken Jack’s Restaurant & Lounge and Inlet Affairs Catering to help those affected in our community by Hurricane Florence. On Sunday, September 30th, the BrewBoat in Murrells Inlet will be offering 50-minute cruises for only $15 every 30 minutes from noon to 6:30pm. Every penny made from each cruise will go to help flood victims in Conway. To book your cruise, please head to BrewBoatSC.com/Book-Now.